FK Lowry Piling, part of Lagan Specialist Contracting Group, have successfully completed piling works on a new £34.5m bypass in North Yorkshire. The three-mile long Bedale, Aiskew and Leeming Bar bypass will take the main A684 road into the Yorkshire Dales around the communities. 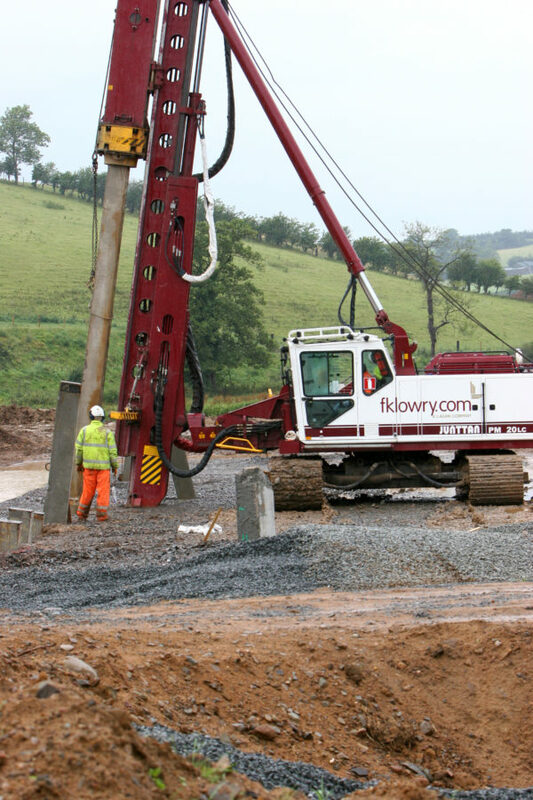 The first major work to be carried out was the construction of roundabouts at each end of the scheme and FK Lowry Piling designed and installed 350mm Square precast piles for 2 No. Structures and 6 No. Bridge Abutments on the Project. North Yorkshire Highways say around 14,000 vehicles use the existing road each day, causing considerable congestion and the new route will cut traffic flow through the towns and urban areas by half.